Apparently, when we’re choosing where to go on our holidays, most of us consider how Instagrammable a place is. Firstly, obviously! Pics or it didn’t happen, right? Secondly, that sounds great if you can splash out for a super-glam Grecian hotel with an infinity pool outside your door but what if your bank account is less Beyoncé more budget? We’ve got you. Hit up one of these totally Insta-worthy staycation destinations and thank us later. A golden sandy beach, quaint streets, palm trees and pastel houses galore. Must be some coastal Mediterranean town. Nope! It’s Tenby in Wales. 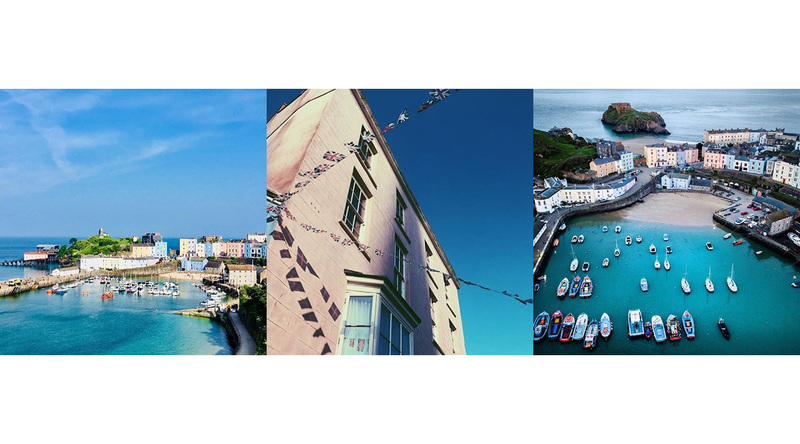 So far the Tenby hashtag has racked up over 160,000 posts and it’s not hard to see why. The cute stairs nestled between the pastel-coloured buildings are just calling out for those candid-but-not-really-candid shots, the palm tree lined beaches will make you feel like you’re in Spain and the old school seaside vibes are fuelling our nostalgia rn. 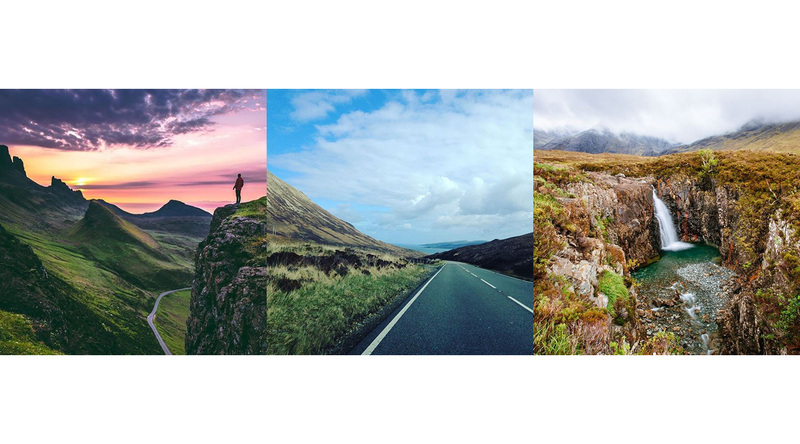 The Isle of Skye just off the coast of Scotland has you 100% covered when it comes to Insta-ready beauty spots. Hike up to The Storr for an epic landscape pic (you looking triumphant at the top of a hill 100% necessary, ofc), next head to Dunvegan Castle then don’t even think about leaving until you’ve been to the Fairy Pools. The water is crystal clear blue and you can swim in it too, if you fancy perfecting your wet hair flick. We’re not talking snapping Big Ben or getting the usual shot outside Buckingham Palace. Ditch the tourist spots and head straight for Sky Garden for ultra chic interiors and killer views. 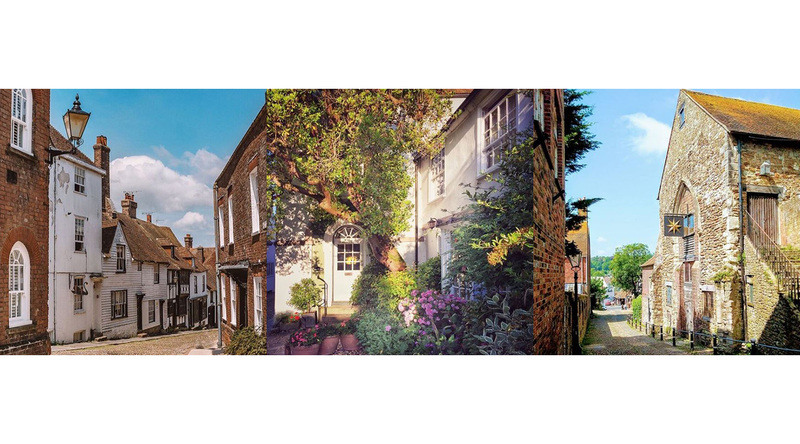 Next, up take a trip to God’s Own Junkyard which is basically neon heaven on earth, get a hit of colour at Neal’s Yard, then make tracks for Bourne and Hollingsworth – a plant lover’s paradise. And last but definitely not least, Sketch London is the holy grail of Insta-locations. 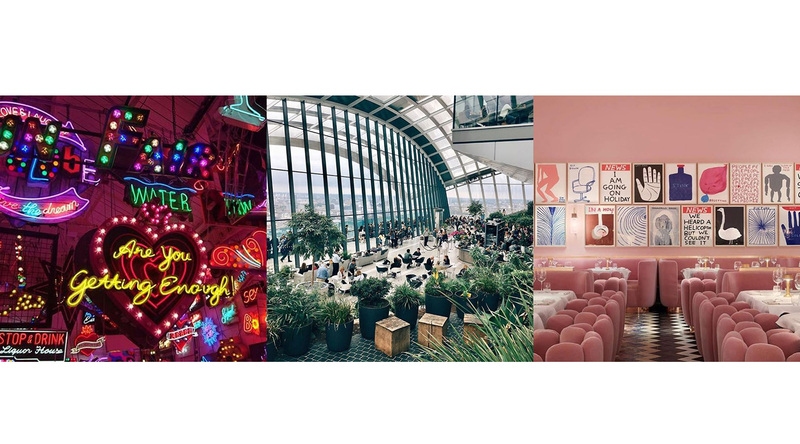 The millennial pink walls and matching velvet chairs never fail to rack up the likes and the multi-coloured space age-y toilets are serious Instagram fodder too. Rye has it all – cobbled streets, black and white Georgian houses, and gorgeous doorways that are calling out for an #OOTD post. Sunset over the harbour will get you at least five heart eye emojis and if that’s not enough, Camber Sands is right on your doorstep too. The amazing sand dunes and golden beach which stretches on forever need no filter. 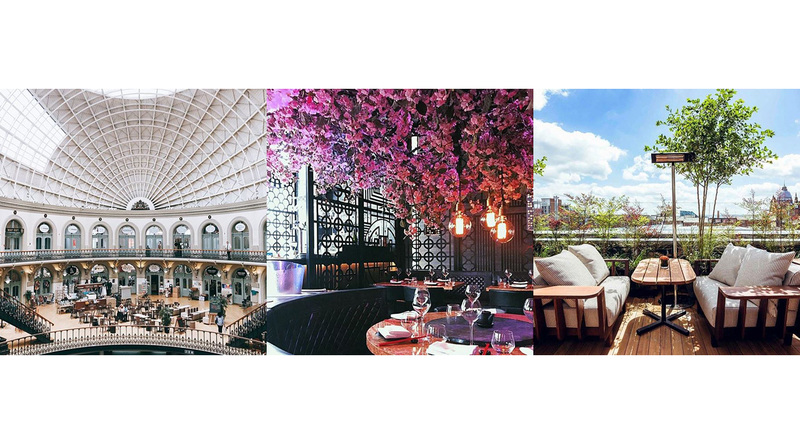 If city trips are your thing but you’ve already done London, head north to Leeds. We guarantee your camera roll will be full by the time you leave. Head to the Corn Exchange for interiors inspo (plus perfect selfie light underneath the huge ceiling window) then visit Colours May Vary and Village; two super cool indie magazine shops. Issho provides rooftop goals with its amazing view, and Tattu might just take the crown for prettiest restaurant ever with its cute pendant lights and cherry blossom trees.